Emerging victorious in one of the toughest years for Democrats, Gwen Graham wins with 50.4% of the vote. An attorney and mother, Gwen Graham entered politics for the first time with a run for Congress in North Florida in 2014 against incumbent Steve Southerland. Southerland, a two-term incumbent, embraced the Tea Party platform on virtually every issue, including the government shutdown in 2013. 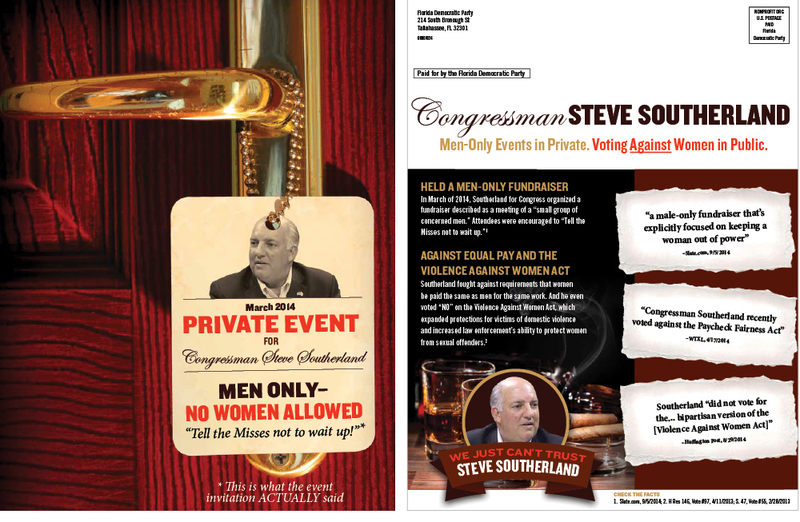 In addition to complaining that his congressional salary was not much, Southerland voted against the reauthorization of the Violence Against Women Act, opposed the Paycheck Fairness Act and even held a fundraiser that expressly excluded women. 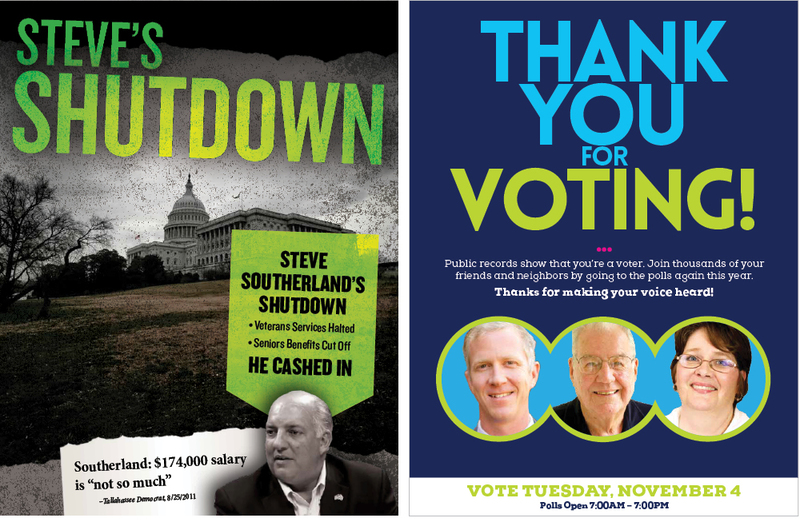 Deliver Strategies designed two robust mail programs to complement TV messaging and field operations: one aimed at increasing turnout – both through the mail and on Election Day – and the other persuading women to choose Graham by focusing on Southerland’s atrocious record on women’s issues. We used tested techniques throughout, from VBM request generation to turnout strategies to persuasion mail. The program utilized authentic photos of people from the district throughout. Despite Republican gains throughout the country and the Democratic top of the ticket losing FL-02, Graham withstood a record amount of TV and direct mail attacks and emerged victorious with 50.4% of the vote.